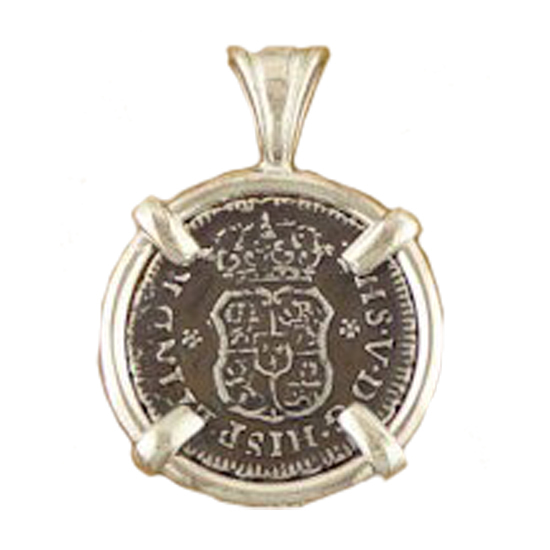 Spanish Cross Silver Coin Pendant. Obverse:PHILIP.V.D.G.HISPAN.ET IND REX around crowned shield of the House of Bourbon. Reverse: Mo VTRAQUE VNUM Mo around crowned globes by the Pillars of Hercules, date below. Ruler: Philip V; Mint: Mexico City; Country: Mexico. 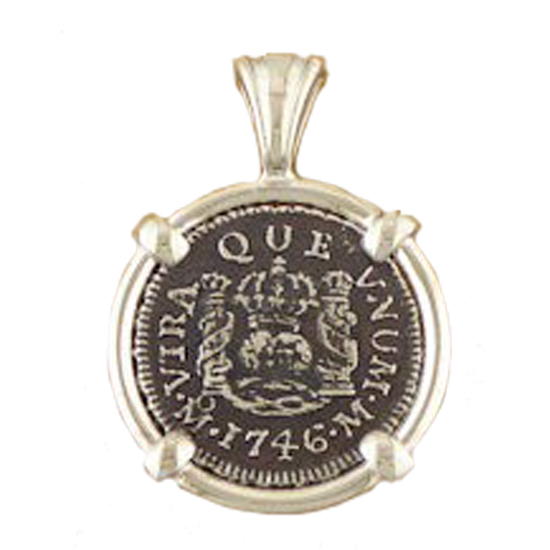 Date:1721; Framed in sterling silver. Dimensions : 3/4" diameter with 1" drop including bail. 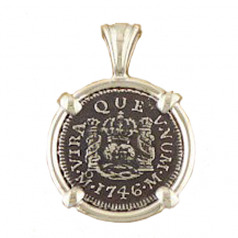 Certificate of Autheticity The Silver coins of Philip V are distinguished from those of his predecessors by the addition of the Bourbon escutcheon, consisting of three fleurs-de-lis on a small shield, superimposed on the center of the Spanish coat of arms.